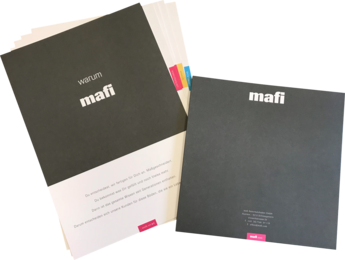 It is not always easy to quickly and compactly explain the many details of a mafi natural wood floor and the large, sustainable idea behind our brand. The attention span of people is reduced more and more, we are flooded with information. 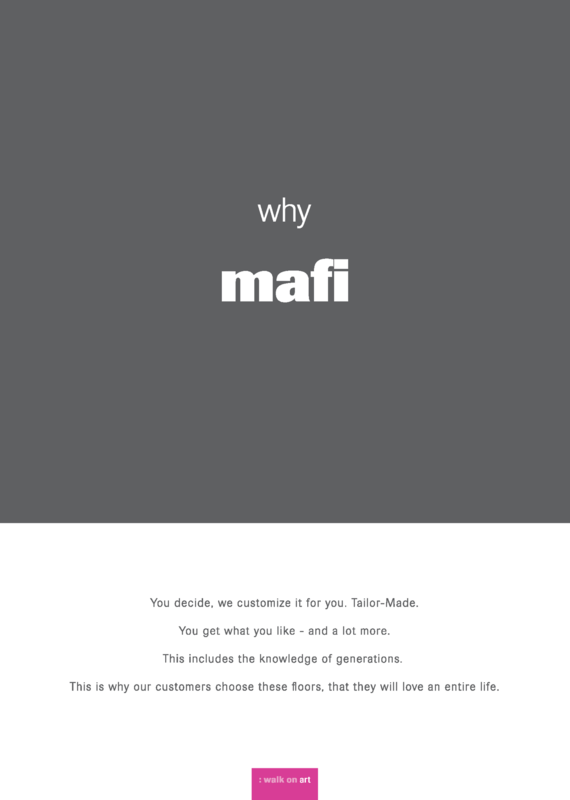 With the why mafi brochure, we introduce ourselves with self-explanatory images and graphics. The individual sheets are divided into three chapters - company, technology and surface. On the back of the sheets, we confront reality and prove the respective added value in the so-called fact check.